The endearing, adventurous and comedic antics of Mickey Mouse, Disney’s #1 star and the world’s leading character franchise, will be presented in a new short-form series of 2D comedy cartoons, “Mickey Mouse,” with a special preview today, TUESDAY, MARCH 12 (3:00 p.m., ET/12:00 noon, PT) exclusively on Disney.com. This new series of 19 cartoon shorts will begin rolling out FRIDAY, JUNE 28 on Disney Channel, Disney.com and WATCH Disney Channel, among other platforms. An online game, “Mickey Delivery Dash,” is also debuting today on Disney.com. The announcement was made today by Gary Marsh, president and chief creative officer, Disney Channels Worldwide. Since his creation in 1928, Mickey Mouse has continued to be a timeless favorite, a character that embodies joy, innocence and impishness. While the direction and pacing of the new “Mickey Mouse” cartoon shorts are fresh and contemporary, they are at the same time homage to the art direction and storytelling of Walt and his animators in the 1920s and ’30s. Emmy Award-winning artist and director Paul Rudish (“Dexter’s Laboratory,” “The Powerpuff Girls”) is the executive producer and director. Aaron Springer (“SpongeBob SquarePants, “Gravity Falls”) and Clay Morrow (“Dexter’s Laboratory,” “The Powerpuff Girls”) are directors, and Joseph Holt (“The Powerpuff Girls”) is the art director. The series is produced under the supervision of senior vice presidents Eric Coleman and Lisa Salamone at Walt Disney Television Animation (TVA). With the slapstick feel of classic Mickey Mouse, the series of cartoon shorts presents Mickey in a broad range of humorous situations that showcase his pluck and rascality, along with his long-beloved charm and good heartedness. Each cartoon short finds Mickey in a different contemporary setting including Santa Monica, New York, Paris, Beijing, Tokyo, Venice and the Alps, facing a silly situation, a quick complication and an escalation of physical and visual gags. The stories also feature genuine heartfelt and heroic moments as Mickey explores and experiences life with his comical partners: Minnie Mouse, Donald Duck, Daisy Duck, Goofy, and Pluto. Geared towards kids age 6-14 and families, and produced in 2D animation, the design esthetic for the “Mickey Mouse” cartoon shorts reaches back almost 80 years and borrows reverentially from the bold style of his 1930s design, but not before adding a few contemporary touches. Designs for other characters have a similar approach, favoring a “rubber-hose” cartoon style for more exaggerated animation. Background designs closely reflect the graphic design sense of 1950s and 1960s Disney cartoons. For those true eagle-eyed Disney fans, the production team has also included the occasional homage to other icons from the storied Disney heritage. In the first cartoon short, “Croissant de Triomphe,” Mickey must deliver croissants to Minnie’s cafe, battling street traffic and other Parisian obstacles along the way. Stories in the upcoming cartoon shorts include: “Yodelberg” — Mickey longs to visit Minnie atop her mountaintop chalet but quickly realizes that the threat of avalanche has made the trek up the mountain more challenging than usual. In “No Service,” Mickey and Donald try to buy lunch from a beachside snack shack but are unceremoniously turned down because of the classic “No shirt, no shoes, no service” admonition (of course, Mickey doesn’t wear a shirt and Donald doesn’t wear shoes!). 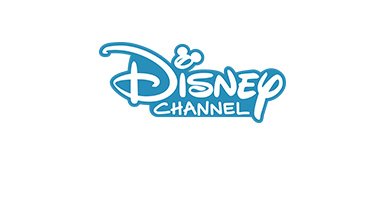 Disney Channel is also home to the hit CG-animated series “Mickey Mouse Clubhouse” which for 2012 was among the Top 3 cable TV series for kids age 2-5. The learning-focused series is presented daily on Disney Junior and Disney Channel in 167 countries and in 34 different languages. In fourth quarter 2012, it reached nearly 165 million unduplicated viewers worldwide. Disney Channel is a 24-hour kid-driven, family inclusive television network that taps into the world of kids and families through original series and movies. It is currently available on basic cable in over 99 million U.S. homes and to millions of other viewers on Disney Channels around the world.